Acragage® Test Gauge Series 1600, Gauges and Diaphragms, Houston, Texas | Texas Valves & Instruments, LLC. 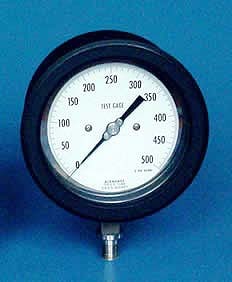 This pressure gauge is matched to the most rigorous requirements of the process industry. It offers the ruggedness of stainless steel and the safety of solid front construction at an economical price. It is available in both lower bottom and lower back mount connections in two different construction materials with 24 different ranges.